I first saw Meryl Streep in the incredibly depressing film "Sophie's Choice" back in high school. If someone had told me back then that I would be watching her in an ABBA musical a quarter century later I would have not known how to respond. And I would not have foreseen enjoying a film this much! 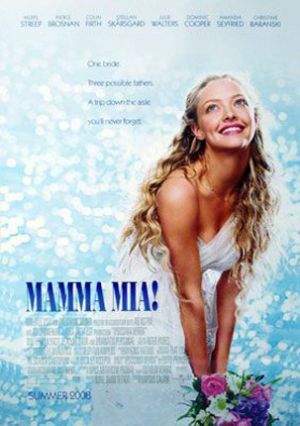 "Mama Mia" provides the ultimate cinematic escape with its lavish costumes, gorgeous settings, and earnest performances. Meryl Streep plays Donna, an American baby boomer who runs an inn on a fabulous remote Greek Island at which her daughter Sophie is to be wed. Little does Donna know that Sophie has been through mom's diary and narrowed her father's identity to 3 possible suitors--and invited all three men to her wedding. The music retains ABBA's quirky appeal. And the ending is happy. What more can you ask for from your entertainment dollars?